Websites have become the main stream to expand your business, make your presence in the competitive world and to built a constructive image in front of the viewers. To make your work easier, hassle free and less expensive it is better to design your web pages or websites on your own. This can be done by using HTML Website Templates, which plays the role of an online website designer that too free of cost. 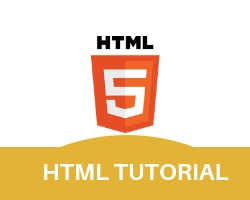 HTML tutorials are the pre built templates which helps you to create your own websites within a few hours. HTML Website templates are designed to help you to build better home pages by giving them a profession look. These free web templates help you by just filling the blanks without any coding. Even if we talk about HTML CSS ( Cascading Style Sheets) Templates, they make standard webpages as it allows you to operate your page, margins, texts etc. We provide you Html css templates free download which is ready to use just by linking the CSS file to your HTML documents. By this you can save a lot of your time and energy by keeping aside the problem zone of all initial set up responsibilities. All in all Phptpoint is one place with complete solution for all your queries under one roof. Learning PHP is not a tough job any more because nor you have to spent a huge amount on your learning process, neither you have to go out and search for best institutes serving you with the knowledge in the same field. These Free HTML templates are not only useful for making your websites from scratch, you also make changes to your already existing websites or web pages. Apart from a time saving element these HTML for Dummies make sense for the professionals who are well versed in this sector but want to save time by using these prebuilt pages. Even if we look at those who do not have any knowledge about web designing can also make full use of these free HTML website templates and create there own website without spending huge amount on hiring website professionals. Making websites has become an easier task with these free downloads. Now you have the Free HTML CSS Templates Download where you can make the best possible use of ready made templates for your business website and can make any type of necessary changes with just a click of a button. Phptpoint templates allows you to use free templates even for your Php projects, so that you design dynamic and attractive web applications yourself. These free template are developed to make your work easier, faster and attractive. Here you can download free php projects, rather they are students who want to learn from scratch can make best use of the same. This is exactly how phptpoint is helping its students to learn by downloading free php projects. One can choose any topic from many options and can start learning from those already existing examples. For those who are looking for jobs in php, this site has all to give you. Any new job in this field is updates and posted, so you don’t need to go anywhere for searching your job destination as well. In short Phptpoint is the one solution to different questions related to php.